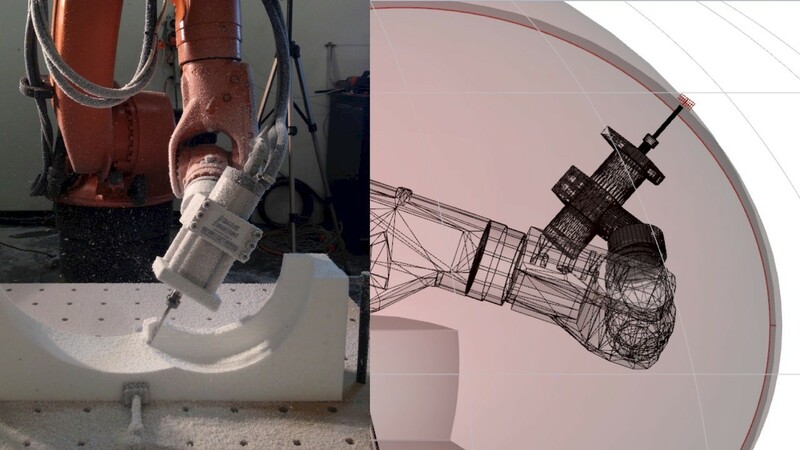 The use of industrial robotic arms in academia architectural practice has opened up a potential for directly linking algorithmic design strategies with hybrid material applications and new paradigms for construction. Developments in tools, workspace, fabrication sequences and mobile and onsite construction will change the way we will build in the immediate future. This talk introduces recent advancements at the intersection of architecture robotics, collaborative robotics, and creative and social robotics. Dagmar Reinhardt is a practising architect, researcher and educator, and a principal of reinhardtjung, a research-based architecture practice that has been widely published. Lecturing internationally, she is the Program Director of the Bachelor of Architecture and Environments (BAE) and leads the Master of Digital Architecture Research at the Faculty of Architecture, Design and Planning at The University of Sydney. Reinhardt’s current research develops computation through programming materiality in engineering acoustic and structural performance of complex geometries for an architectural context; by choreographing relationships between kinect sensing, fabricated materiality, body, movement and space in a context of interaction design; and by investigating robotic fabrication and collaboration protocols.